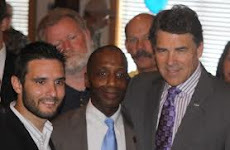 Governor Rick Perry was in Beaumont tonight. 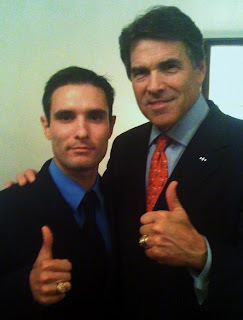 He talked about the importance of being a strong conservative, especially right now with what the nation is facing. He was pretty impressive when he talked about how Texas, under his leadership, is doing pretty good right now when most other states are in the tank. I do not know if he is for sure the guy for another term, but I can tell you that Hutchinson is for sure not the person for the job because she supports Roe vs. Wade and I can never support a candidate who supports abortion.